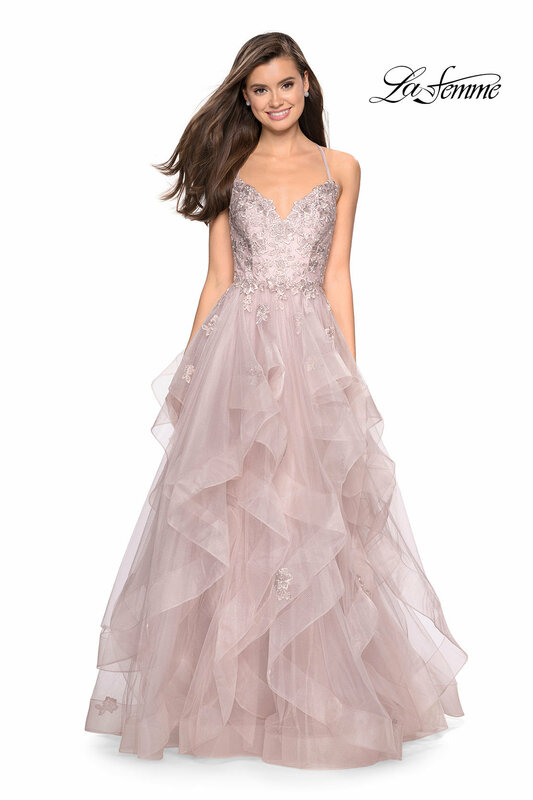 This dress will have you feeling like a princess! Walking the pageant stage or swaying at prom. 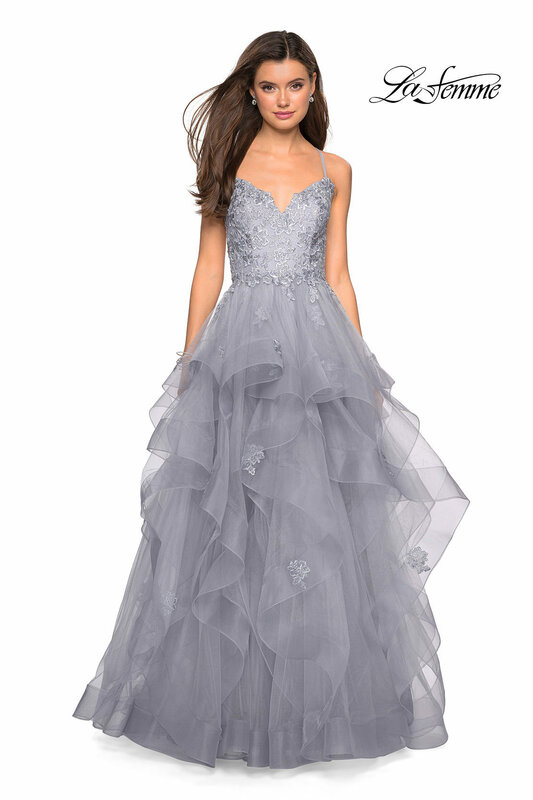 This La Femme 27579 has a sparkly top with a strappy back.